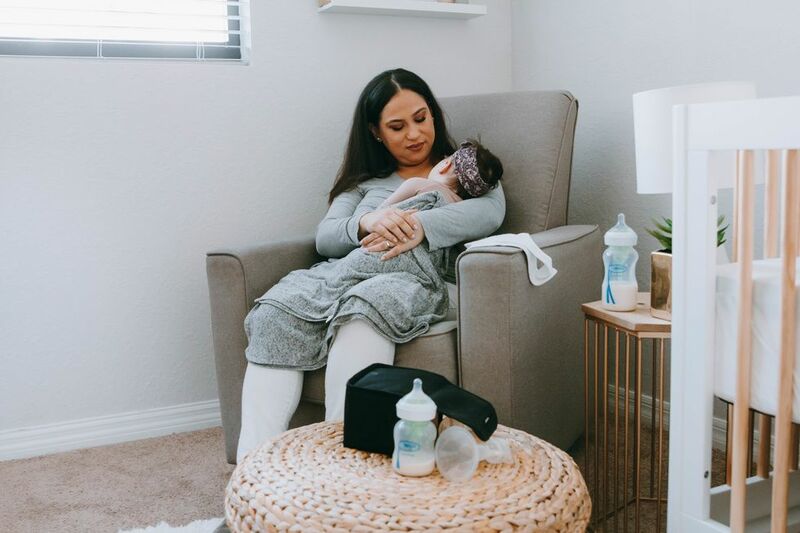 Long, sleepless nights are perhaps one of the biggest challenges of baby's first year, and sometimes why baby wakes in the middle of the night can be a mystery. After being fed and changed if baby still isn't dozing off, inactivity during the day could be a culprit, according to a new study from Michigan State University (MSU). The research suggests babies who are less active during the day may also be getting less sleep at night. The study analyzed 22 healthy six-month-old infants and monitored physical activity level and sleep over 24 hours. Researchers found that babies who slept less overall in the monitored 24 hours were significantly less active during the day. And the researchers say more tummy time during the day could mean more restful nights for baby and mama. Tummy time refers to dedicated time during the day in which babies are positioned on their stomachs, while supervised, and encouraged to develop motor skills. The research focuses on the effect physical activity, such as tummy time, has on infants. "While we don't have evidence yet that tummy time directly affects sleep, it increases physical activity and promotes healthy weight gain," says Janet Hauck, an assistant professor of kinesiology at MSU, who specializes in infant motor intervention research. "So, parents who feel their baby isn't sleeping enough could promote tummy time during the day to boost their baby's physical activity level." According to Hauck, physical activity and sleep influence each other and are strongly associated with growth in older children and adults. "Our findings suggest that this association could emerge as early as infancy, a critical development period," she explains. Put simply, babies need physical activity too, not just older children and adults. A baby who has exerted themselves physically is likely to sleep more than a baby who isn't as active, according to the researchers. 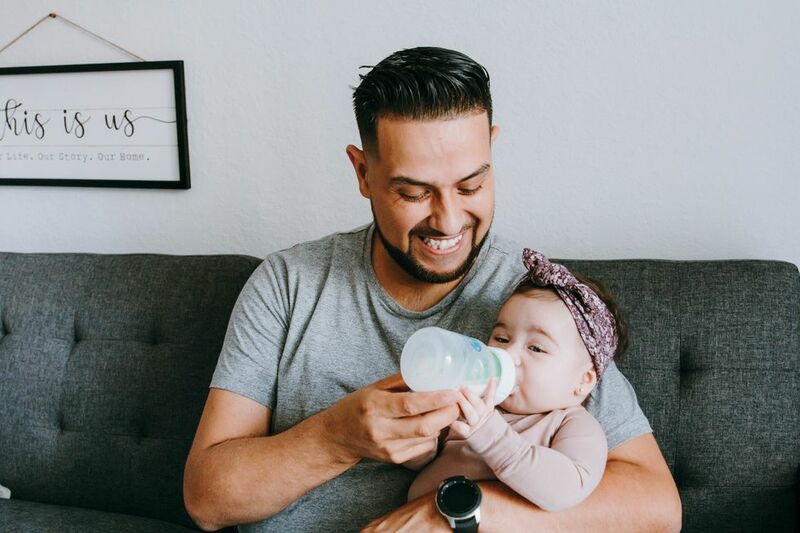 To improve sleep, Hauck suggests establishing a consistent bedtime routine and encouraging physical activity during waking hours by interacting with baby during floor activities and doing supervised tummy time several times a day. Tummy time has come to be a focus of pediatrician recommendations in the last 20 years since putting babies to sleep on their backs became part of the official safe sleep recommendations from the American Academy of Pediatrics (AAP). 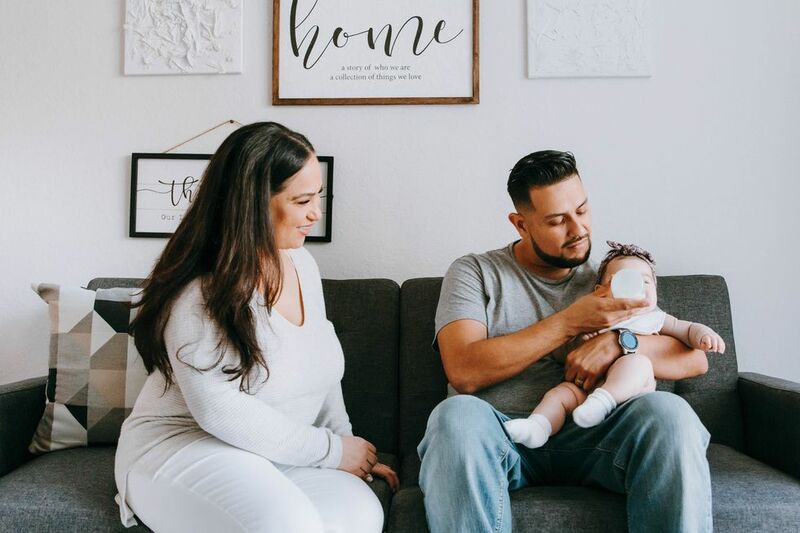 While the "Back to Sleep" campaign has reduced the rates of Sudden Infant Death Syndrome (SIDS), it has increased cases of positional plagiocephaly — babies with flat patches on their heads. Tummy time helps to alleviate that risk, and strengthen baby's core and arms, laying the foundation for development of both gross and fine motor skills. Tummy time can be challenging, however, and it's not uncommon for babies to protest time spent on their stomachs. The American Occupational Therapy Association (AOTA) suggests making tummy time interactive—getting down on baby's level, talking to baby and showing baby toys. Babies can be positioned on their tummies in short sessions throughout the day, based on baby's tolerance and needs, starting with just a few minutes a day and working up from there as baby gets stronger. Initiating eye contact, talking and singing to baby as well as arranging toys in a circle to promote reaching in different directions are all ways to make tummy time interactive and strengthen baby's core, according to the AOTA. Placing baby on a blanket on the floor isn't the only way to achieve the benefits of tummy time. One recommendation from the AAP includes positioning baby tummy down across a caregiver's lap lengthwise while providing head support. Side-lying is another positioning option recommended by both the AAP and AOTA. Caregivers can position baby on a blanket on their side, supporting their back with a hand or using a small rolled blanket. Parents can also start in the hospital by positioning their newborn, while awake, on their stomach or chest, and encouraging eye contact. Engage baby's senses by placing a plastic mirror in front of baby or offer differently textured blankets and towels so baby can experience different touch sensations. Get the whole family involved—baby will be encouraged to lift their head, reach and play when they see faces and hear voices. Read to baby during tummy time. Incorporate tummy time into activities you're already doing with baby, such as changing diapers or drying with a towel after bath time. While increased tummy time doesn't necessarily mean baby will snooze all night long, it's certainly something for exhausted parents to consider, and the benefits of increased physical activity for children of all ages could mean more restful nights for everyone. Erin is a freelance writer living in the Kansas City area where she also works as a health insurance navigator for a community health center. She writes primarily about reproductive justice and parenting. Her work has been featured in Rewire, DAME Magazine and Refinery29.